Most individual taxpayers will not see changes until it affects their paycheck tax withholding, likely in February. This will all start with the filing of 2018 tax returns in April 2019. Tax rates: The new law lowers tax rates for individuals and adjusts the bracket amounts. For 2018 through 2025, the tax rates are 10%; 12%, 22%; 24%; 32%; 35% and 37%. In addition, a chain CPI index will be used for future indexing, thereby reducing the size of annual adjustments. Standard deductions: The standard deduction is effectively doubled to $12,000 for single filers and $24,000 for joint filers, and $18,000 for head of household, while the additional standard deductions for the elderly and blind are retained. Personal exemptions: Personal exemptions, including exemptions available for qualified or dependent children and relatives, are repealed. Accordingly, the personal exemption phase-out (PEP) rule also goes away. Alternative minimum tax: The alternative minimum tax (AMT) system is retained, but exemption amounts, as well as the thresholds for phasing out exemptions, are significantly increased. In addition, these figures will be indexed for inflation in future years. Child tax credit: The child tax credit (CTC) is doubled from $1,000 per qualified child to $2,000, subject to a phase-out for high-income taxpayers. Under a late amendment, $1,400 of this credit is refundable. In addition, the new law creates a $500 nonrefundable credit for non-child dependents. State and local taxes: In a controversial provision, the TCJA limits the deduction for state and local income taxes (SALT) to $10,000 annually for any combination of state and local property taxes or (2) state and local income taxes or sales taxes. Mortgage interest: Although deductions for prior debt is grandfathered, the new law limits the mortgage interest deduction to interest paid on the first $750,000 of acquisition debt, down from $1 million. It also eliminates deductions for interest paid on home equity debt. Medical expenses: While other itemized deductions are eliminated or scaled back, the deduction for medical expenses is temporarily improved. For 2017 and 2018, the threshold for deducting medical expenses reverts to 7.5% of AGI, the threshold in effect prior to the Affordable Care Act (ACA). Casualty and theft losses: This itemized deduction is eliminated, but it is preserved, with certain modifications, for losses incurred in federal disaster areas. Section 529 plans: The list of qualified expenses for Section 529 plans is expanded to include tuition at an elementary or secondary public, private or religious school, plus home schooling expenses, for up to $10,000 per year. Roth IRAs: The rule permitting taxpayers to recharacterize a Roth IRA back into a traditional IRA after a conversion is repealed. Health insurance: The new law repeals the health insurance mandate for individuals established by the ACA. This change doesn’t take effect until 2019. Estate tax: The federal estate tax exemption is doubled, resulting in an inflation-indexed exemption of $11.2 million in 2018. Unlike the individual tax provisions in the new law, the key provisions relating to businesses are generally permanent. Following is a brief rundown. Corporate tax rates: The corporate tax rate structure, which features a top rate of 35%, is replaced with a flat 21% rate. Pass-through entities: Under the new law, pass-through entities — such as partnerships, S corporations, limited liability companies (LLCs) and sole proprietors — can claim a 20% deduction on earnings, subject to special rules and restrictions. 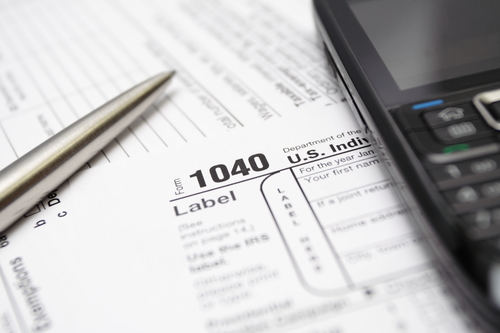 The deduction is not available to higher-income personal service providers. Section 179 deduction: The new law doubles the maximum Section 179 “expensing” allowance from $500,000 to $1 million. It also increases the phase out threshold for Section 179 deductions from $2 million to $2.5 million. Bonus depreciation: Similarly, the new law doubles the first-year “bonus depreciation deduction” from 50% to 100%, but phases it out after five years. The deduction generally won’t be available after 2026. Luxury car rules: The new law raises the caps on depreciation deductions allowed under the “luxury car” rules for passenger vehicles for which bonus depreciation is not claimed. Section 199 deductions: The new law repeals the deduction for qualified domestic production activities previously allowed under Section 199 of the tax code. Corporate AMT: Unlike the individual AMT, the corporate version of the AMT is completely repealed. Entertainment deductions: The deduction for business-related entertainment is repealed. Businesses can still generally deduct 50% of the cost of qualified meals. Interest deductions: Deductions for business interest expenses are capped at 30% of AGI, subject to certain special rules. However, a small business with average gross receipts of $15 million or less for the past three years is exempt. Foreign taxes: A one-time repatriation tax of 15.5% for liquid assets and 8% for illiquid assets is imposed on earnings from overseas. Furthermore, a complex new system for international taxation is being implemented. This article should serve only as an overview to this new (and very complicated) tax law. If there is one takeaway to be gleaned, it is to make an appointment with your accountant even earlier than usual — from what I have heard, their appointment books are filling up.